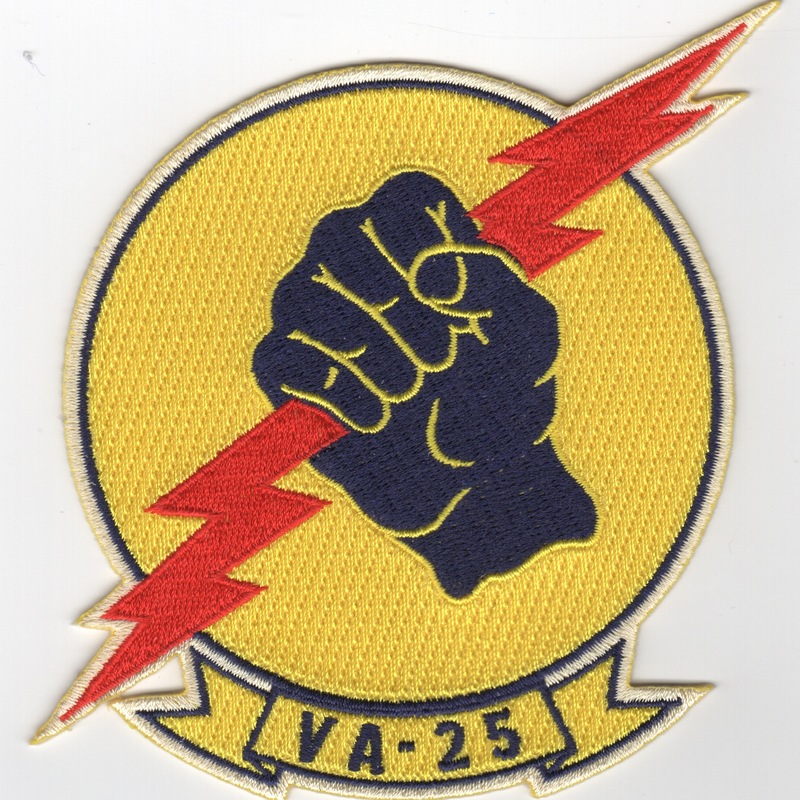 This is a reproduction of the FIRST squadron patch for the "Fist of the Fleet". Note, there are not any stars on this original design, but added later in the second (and later) versions of the patch. They were A-7 drivers out on the West Coast with a history dating back to January 1943. They currently operate the F/A-18C Hornet out of NAS Lemoore, CA. This is their legacy patch created in Nov 1970. 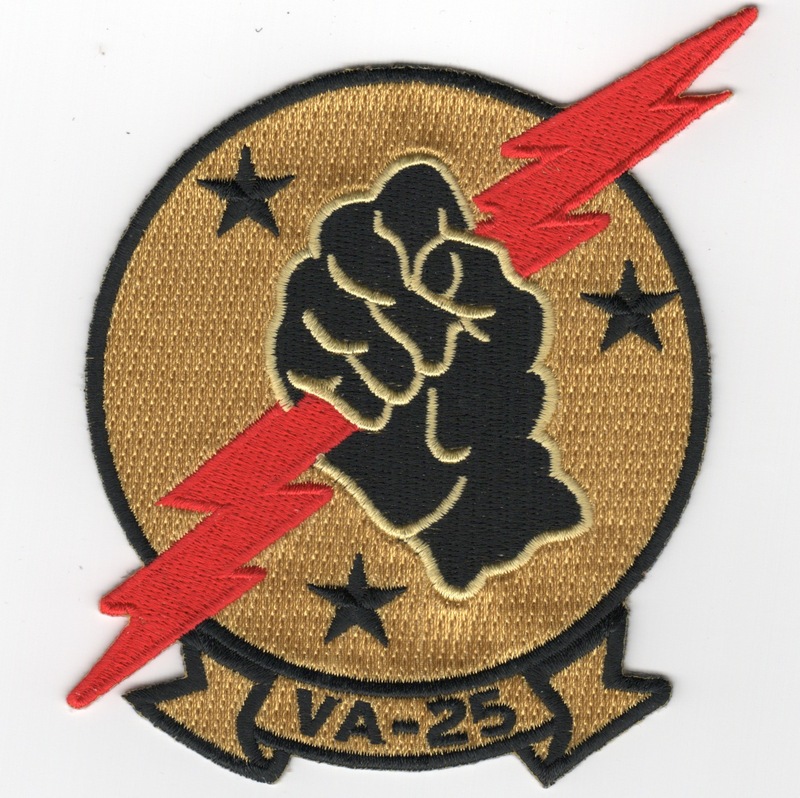 Homepage | Order VA-25 Patches!